Lightning round slide deck – Each person fills out a basic slide template with their picture and a few personal facts. Go around the group and let each person elaborate on something that’s on the slide. 30-second how-tos – Everyone makes a 10-30 second video to show off something they know how to do. Online gaming – What better way to build up your team than to beat them at a game? Maybe a collaborative video game would be a better fit. Photo scavenger hunt – Create a list of places to go and things to do. They could get in a photo booth, meet a local celebrity, try a new food, etc. Each person or team captures photos of the tasks and compiles a slide deck. Have a virtual viewing party! Two truths and a lie – Each person shares two truths and a lie in a shared team document, space, or survey. Everyone votes on which item is the lie. Review the results and actual “lies” at the next team meeting. Secret gift exchange – This could have a theme or just be a random funny item for a teammate. It might be to celebrate the conclusion of a project or something you do between work surges. Culture box – have a fun container that gets shipped around to the team. Put things that represent your local culture in it and ship to another office. It could include local memorabilia, food, activities, pictures, books, etc. This can be fun even if the team is all in the same country. Silly talk – Save the last few minutes of team meetings to discuss a random question. It’s also fun if the topic can spark some debate. Is Batman a superhero (he has no powers)? You may even share it ahead of time to let people think about their answers. What are the top 3 reasons why you love working here? What led you to choose the type of work you do? If someone were looking for you back in high school, where would they look? What fictional character would you love to bring to life? What TV show or movie is your guilty pleasure? 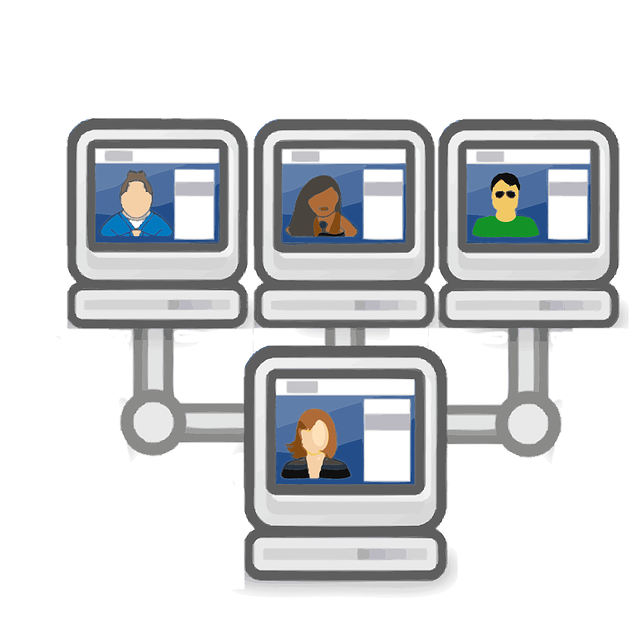 Virtual Coffee Meetups – Associates are paired up to video chat for 15-30 minutes. They have to post a selfie of their meeting in a shared group space. Do this three times. Donut Bot is a great tool to help automate your pairings. BONUS ACTIVITY- Most of the above activities lend well to a post-scavenger hunt activity. Have a follow-up list of questions about the bios, slides, truths, or how-to videos. Crowdsource it by asking each associate to contribute a question. It will save you time and make them more invested. Rate the effectiveness of the activities you try with your team. Have them give a rating or measurement of the actual impact. That will shape the direction of your next event so that it can be successful. Did they learn anything? As a result of the activity, did they feel more connected? Are you more engaged? Open up the conversation for the group to choose items from this list or to offer brand new ideas. Seize on any interest expressed in leading an activity and let others have some ownership. It will only make your efforts to energize and connect the group a greater success.